Deborah Wiles, well-known author of Love, Ruby Lavender, has sent out another deep, stirring novel for young readers. Countdown, a tale set during the Cold War in 1962, tells about poor Franny Chapman, who is undergoing some big changes and confusing situations at present. (Or past, whichever one.) Her best friend doesn’t seem like her best friend, she might as well be invisible for all her parents and teachers seem to know, and, of course, there’s all that trouble down in Cuba. And that’s not all: something is up with her sister, and Prince Charming has moved in across the street again. Hmmmm, trouble much? I loved this book and couldn’t put it down, so I finished it in two days. The writing and plot were magnetic, the characters were so real that I could either hate them with all my might or love them to bits. It’s just the right book for the kid that likes reading emotional stories, and the girl that needs to realize all she has. It really is. And, once you’re finished with Countdown, look at the library or bookstore and check out Deborah Wiles’ other novels. You can also read more at her website. I thought this book was good, but here’s my one problem: the writing was not particularly enthralling, and this is one of the traits I look for when I’m reading something. This book didn’t make me want to stay up late and whine for another few minutes of reading. However, this book (by P.B. Kerr) had a very good plot that made me stick with the book and its series. It’s about two children, brother and sister, named Phillipa and John. After having their wisdom teeth extracted (at age twelve!) they are compelled to visit their Uncle Nimrod, who lives in London. There, they discover that they are actually djinn, or children of the lamp. And, only a little while after this shocking news is delivered, they are tossed into a mystery that may deeply affect the entire world. These books are written okay, and the plot is very imaginative, which is one of the other things I look for in a book. So, if you aren’t busy, you can go take a look at the library. P.S. For the adults: P.B. Kerr is also a writer of books for you! He’s under the name Philip Kerr. There are four girls. They are nothing alike. They all have their own, individual problems. And they are all in the same book club together, with their moms. One word: Crazy. Emma’s the writer. Cassidy’s the jock. Megan’s the girly girl. And Jess doesn’t know what she wants to be. Out all of them, Jess and Emma are the only ones that are good friends. The girls all have different opinions about stuff. And you will get to read them all in The Mother Daughter Book Club. Jess’s mom’s away, Emma’s dealing with snobs, Megan’s torn, and Cassidy’s dealing with her dad’s death. I loved this book because the writer, who happens to be Heather Vogel Frederick, writes very well and knows just what to toss into the tale to keep the reader enthralled. And, once you’re finished with book #1, there’s a second! And a third. And a fourth, which happens to be my favorite. It’s the insane world that is middle school, complete with snooty girls and embarrassing moments. Yikes! Just give it a try, because this is the exact kind of book that will have you stuck with it until you’re through. Yep, it’s poetry! And all you kids out there making faces, you’re wrong! This a wonderful book with a verse for everyone and every personality. Whether your favorite is Why?, by James Stevenson, or Lies, All Lies, by William Cole, you will love to just pick up this book and flip through it. These are poems that will always bring a thoughtful smile or an amused giggle to your lips. And they’re from different poets: Langston Hughes, Robert Frost, James Berry, and scores of others. I love these poems because there is always one to fit my mood, whether it’s funny, quiet, or even a little nonsensical. Whichever way you feel, this book is sure to please. And even if some poems are not to your liking, I’m sure there are at least a couple that are. 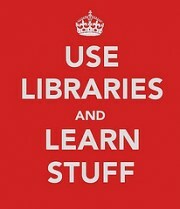 So go online, or take a walk to the library. I don’t care, just find this book and read it. I love love love love love these books! They have everything, from magical humor to extremely annoying boys. Michael Buckley has written us a story about Sabrina and Daphne Grimm, the poor girls whose parents have mysteriously disappeared. After what seems like forever in an orphanage, the two are shipped off with their caseworker to Ferryport Landing, to live with a grandmother they thought was dead! Daphne, the sweet, trusting one, is easily won over by the food and starts to believe the old lady about fairytales being real, and their characters being alive. And the fact that she and her sister are part of the new generation of Fairy-Tale Detectives. But older and more suspicious Sabrina isn’t buying it. She doesn’t get Ferryport Landing and its strange inhabitants; she just wants her parents back. But soon (due to boys with wings and policemen that turn into pigs) she too must believe. And just in time to take care of the town’s new adversary…a giant. If you have a head on your shoulders, you will read this book. And then the next one, and the next one, and the next one. Go! Brandon Sanderson has a new Alcatraz adventure for us, and it’s just as funny, inventive, and dangerous as the first one was. Alcatraz is waiting to meet Grandpa Smedry when he has a little run-in with some baddies. Lucky for him, his friend Bastille saves his neck, and not for the first time. Turns out Grandpa Smedry is hot on the trail of Alcatraz’s father, and it’s led him right to the long-lost Library of Alexandria! Now Alcatraz must lead Bastille, her mother, and his fellow Smedrys into the depths of the library, while all the while resisting the evil Curators that wander through it. This book was entertaining, and I enjoyed reading it because of its high-speed adventure, with a nice good helping of attitude on the side. So go ahead and dig in! This book is the most unpredictable of them all! And you better be trusting me, or else you will be more shocked than you have ever been when you read it. This book in the series revolves around Daystar, a young man who just happens to be Cimorene’s son! He just doesn’t know who he is, exactly. But it might be a good idea to find out when his mother boots him out of the house with a magic sword. Along with an impolite Fire Witch named Shiara and a baby dragon, Daystar sets off on a journey that will decide the fate of numerous people, animals, and (of course) dragons. I think this is a good ending to The Enchanted Forest Chronicles because of the entertaining interaction between the characters and the epic battle at the end. All in all, a great read. And unless you want to miss out on that, I suggest you go to the bookstore or library right now.